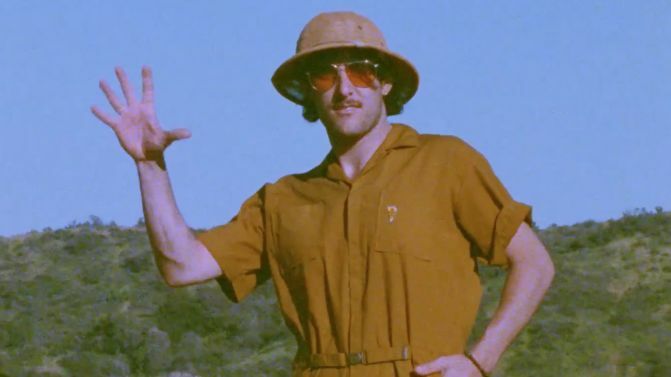 HalfNoise, the creative project of Paramore drummer Zac Farro, has unveiled a quirky music video for recent single ‘All That Love Is’, right here on Music Feeds. The track — taken from HalfNoise’s Flowerss EP, which dropped earlier this year — has been given the visual treatment by director Sam Kristofski, who has previously worked with acts like Unknown Mortal Orchestra, GUM and The Babe Rainbow. The video sees Farro and an extended cast go retro, as the song’s upbeat rhythms carry a tinge of psych-rock nostalgia. “I knew right away with this song that I wanted Sam to direct the video,” says Farro. 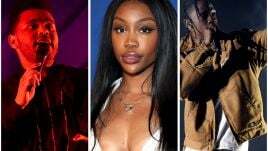 “He always has a such a creative and unique vibe and I knew would be fun to collaborate with him on this song. Really, I just let him loose and he shot it all in California on 16mm film. 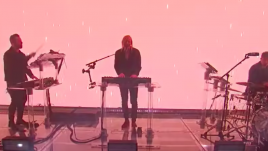 Farro says that while Flowerss was recorded in Nashville, his experiences in New Zealand had a huge impact on his creative process. “My friend Rowan lives in New Zealand, and I met him while touring with Paramore,” he says. “He invited me to come over to New Zealand and spend a few weeks there, just travelling around. I also played a festival there with HalfNoise. And then I just fell in love with the place. I couldn’t stop going back, for three summers in a row, which are North America’s winters. Watch the video for ‘All That Love Is’, below.